Cinnamon offers a plethora of health benefits for your feet, including acting as a natural remedy for Athlete’s foot, cold feet, foot odor and more. 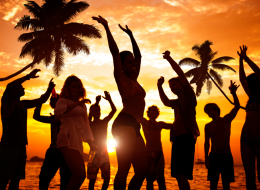 The rise of holistic healing has many people on the hunt for natural cures for health issues such as Athlete’s foot, cold feet, foot odor and more. And while there are many foods and spices that can heal foot issues such as those, cinnamon is one that often makes the list. The warm and fragrant spice has many health benefits for your feet, including the ability to ease arthritis pain, warm cold feet and more. For more ways cinnamon benefits your foot health, click through the gallery above. 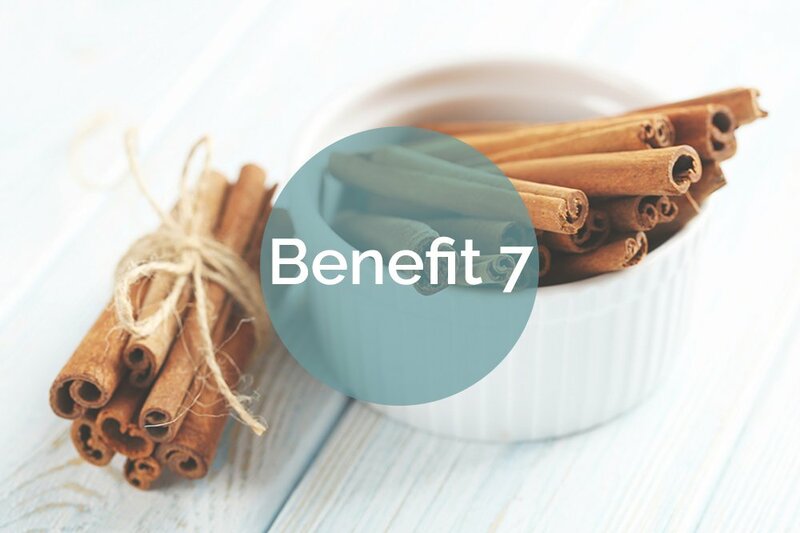 And for more naturopathy tips, check out 7 Ways Apple Cider Vinegar Benefits Your Foot Health and 7 Ways Pumpkin Benefits Your Foot Health. Cinnamon is a natural antimicrobial and has been used for centuries to help fight against a host of diseases, including Athlete’s Foot. You can whip together a homemade antifungal foot bath by simmering eight whole cinnamon sticks in four cups of water for 5 to 10 minutes. Allow the mixture to steep and cool for about 30 minutes, and then add the fungal-fighting concoction to four cups of plain warm water in a basin or bucket. Soak your feet in the mixture for 15 to 20 minutes to help diminish the effects of Athlete’s Foot. Repeat (with a fresh brew) until you symptoms subside. 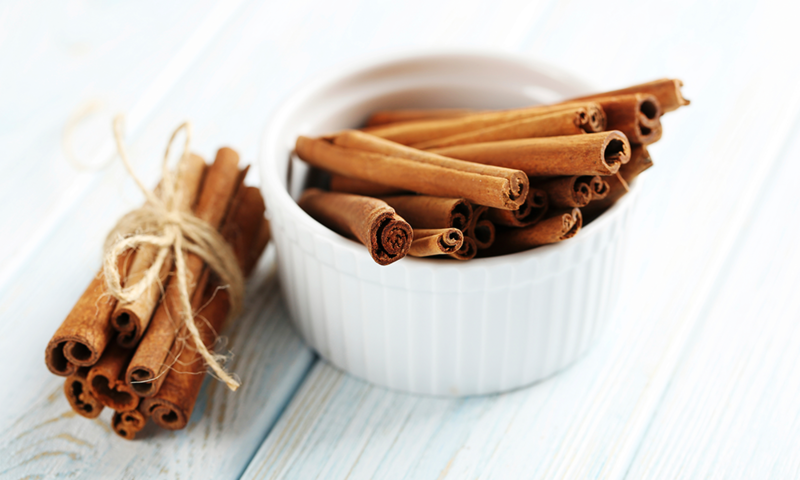 For an added cinnamon boost, squeeze several drops of cinnamon essential oil into the Athlete’s Foot footbath. Arthritis is a painful condition in which the joints become inflamed, stiff and difficult to move. Several types of arthritis affect the feet, which can make walking almost impossible. To help ease some types of arthritis, try drinking a mixture of one cup hot water, two spoons of organic honey and a small teaspoon of ground cinnamon each night before bed. Cinnamon has natural anti-inflammatory properties, which can help reduce joint swelling and pain. Cinnamon is packed with antioxidants that can soften rough, tired skin. Simply add several tablespoons to your regular foot soaks for an extra boost of skin-healing power. Or you can make a super skin smoothing bath by mixing the juice of several lemons, a drizzle of olive oil, a splash of whole milk and 2 tablespoons of cinnamon in a cup of warm water. Soak your feet in the hydrating mixture for 15 to 20 minutes to help get rid of dry, flaky skin and calluses. Cinnamon naturally helps increase blood flow when consumed, making it an excellent choice in the fight against inflammation and foot numbness caused by diabetes and neuropathy. To help increase blood flow and reduce foot numbness, try including a cup of cinnamon tea into your daily drink routine. 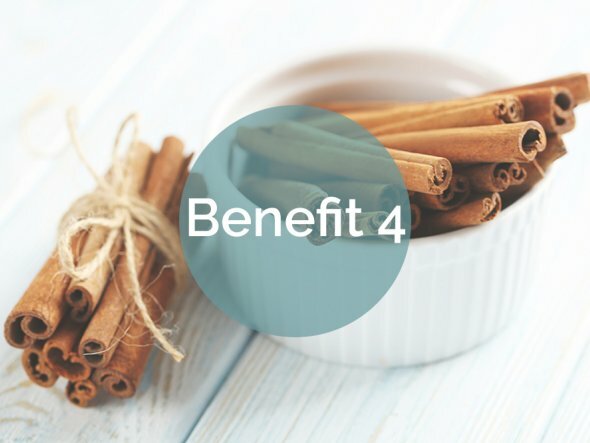 Cinnamon is an all-natural astringent, antiviral, and antiseptic that can help ease the symptoms of eczema, a skin condition that causes rough patches of skin and itchiness. To create a homemade eczema treatment, mix equal parts ground cinnamon and organic honey. Spread the mixture on the affected skin and leave on for at least 30 minutes before rinsing. Done on a daily basis, it could help diminish eczema symptoms in about a week. 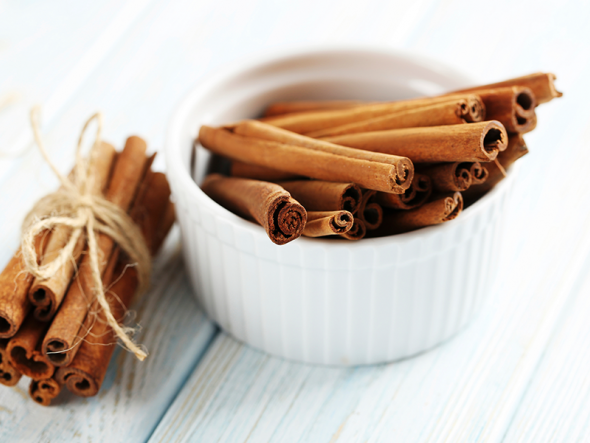 Being that it’s a natural antimicrobial, cinnamon can help kill bacteria that cause foot odor. 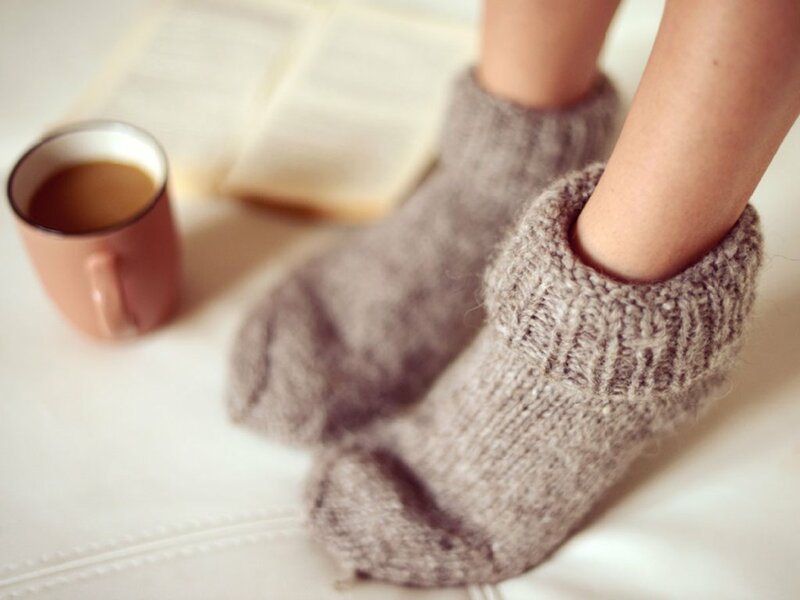 If you have smelly feet, you can help banish the stink by creating a footbath made by steeping several bags of cinnamon tea in four to five cups of water. Wait for the mixture to cool and then pour into a basin big enough for both feet. Soak your feet in the footbath for about 15 to 20 minutes to help reduce foot odor. Additionally, you can place dry cinnamon tea bags into stinky shoes to help absorb foot odor. Or you can purchase cinnamon shoe inserts, which are a store-bought alternative to the DIY method. Is Jack Frost nipping at your toes? Help warm up your feet by either ingesting more cinnamon, which helps improve blood circulation and warm your body, or by mixing it into a soothing, warming winter foot soak.